Hi there! You're listening to WorldBeatUK on Rhubarb Radio - I'm Glyn Phillips and I've got two hours of great music lined up for you this evening -including: electroswing from Italy, acapella from Bulgaria, Greco-Turkish fusion from the Czech Republic and americana from, well, America! There's also a Macedonian chanteuse who sings in English, a British gypsy who sings in Roma, a Portuguese percussionist steeped in Mozambican rhythms, electrified Ethiopian harp, dancehall reggae from Sierra Leone via Canada, soukous from Sierra Leone via the USA and more latino-balkan fusions than you can shake a brass band at! 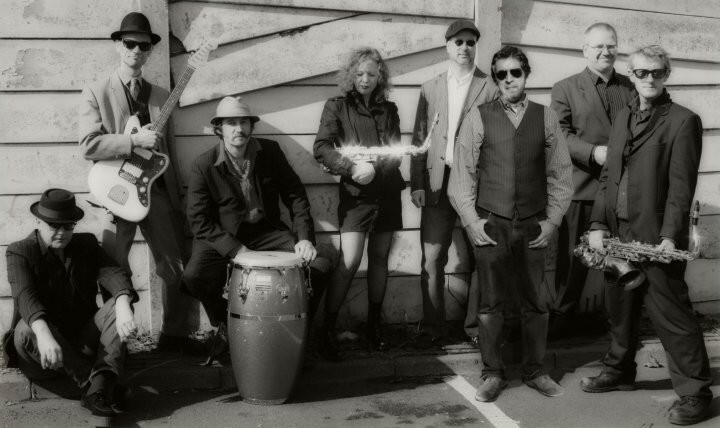 If that wasn't enough, I've some drum'n'brass afrofusion from Belgium, wonderful ethiojazz from Addis Abbaba, a focus on the music of South America's only English-speaking country Guyana (both jazz and reggae) and the UK's Ska Cubano and DJ Max Pashm jump aboard the Orient Express! 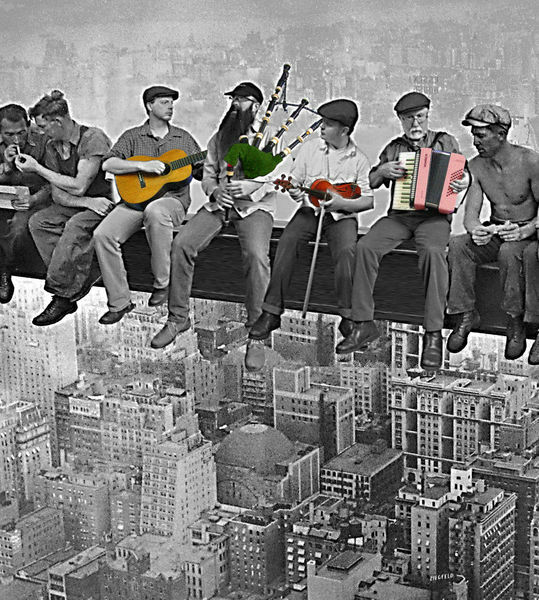 But before all that, welcome to the show and straight up I’m previewing a forthcoming new album from Scotland’s famous folkers - and torchholders for over four four decades for Caledonian Celtic music - The Battlefield Band. 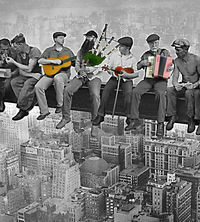 The Battlefielders have recently recruited a new member, multi-instrumentalist highlander, Ewen Henderson and is mostly, as you would expect, traditional Scottish folk music. And very good it is too, although they also do an interesting reinterpretation of an Otis Redding Soul classic, “That’s How Strong My Love Is” as well as tunes from Ireland and Brittany. The term ‘americana’ has gained a lot of credence recently as a catch-all for american folk music both modern and traditional. And there’s nothing wrong with that; like terms such as ‘world music’ and ‘salsa’ and ‘jazz’, it’s a useful thumbnail label when approaching an unfamiliar and vast musical territory, or equally for beginning to market and promote complex musical and cultural developments to people who otherwise might run a mile. Oregon-raised Rachel Harrington’s music can be said to encompass many aspects of ‘americana’ - from traditional folk tunes brought over from Europe and American country laments, to gospel, bluegrass and modern acoustic tales. Rachel (who by the way has a loyal following over here in the UK due to her acclaimed live performances and is also a close friend of Lindisfarne’s Rod Clements) sings, plays guitar and also guitjo - yes, that’s right, a guitjo: a cross between a guitar and a banjo! I actually own one - I can’t play it, but it makes me feel good just knowing I’ve got one! This is from her first album “City of Refuge” (Skinny Dennis Records) - a jaunty little tune to get you tapping your feet, called “Truman”. Incidentally the album that the last tune was taken from - “City of Refuge” - has been described as “a homage to the people who have slipped through the cracks of modern music: dreamers, thieves, drunkards, sinners and good-old fashioned romantics”. You can find out more about Rachel Harrington at her website: www.rachelharrington.net. Macedonian singer/songwriter, Tanja Tzarovska, released her latest album “No Record of Wrong” last month. It’s sung entirely in English, has some covers of tunes by people like Nick Drake and Leonard Cohen, etc, but also has elements of East European music floating through it, like a scent caught on the wind. This track is called simply “Home”. To the east of of the mountainous state of Macedonia, lies Bulgaria and from there we come across a wonderful tradition of choral acapella groups - especially all-female ones. Going back in the 80s and 90s Bulgarian and East European female groups were all the rage in world music circles (think Trio Bulgarka for instance), but you don’t hear them so often now, but here’s your chance to see what all the fuss was about. This is a young Bulgarian group called Perunika Trio. Their name stems from the Slavic god of Thunder, Perun and his beautiful young wife Perunika, so beautiful that the Slavs named the Iris after her. The Perunika Trio are well named - and that’s all I’m saying on that point. 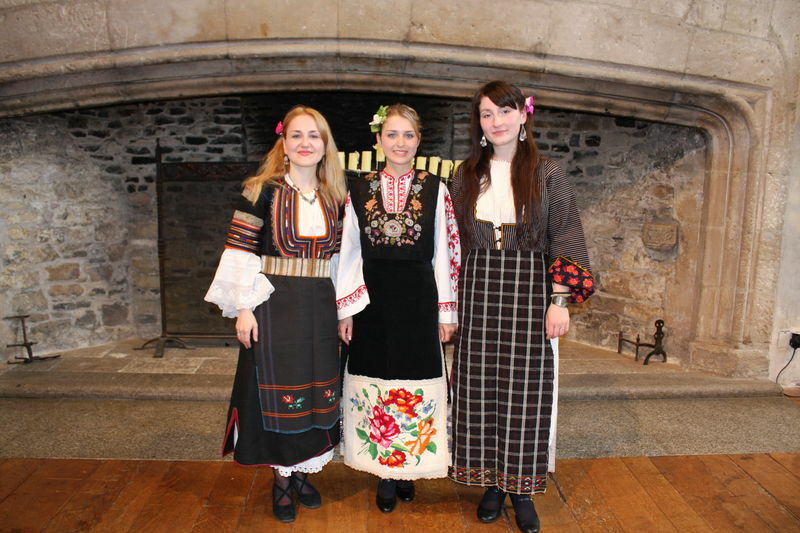 Musically, they perform perfect harmonies and hauntingly evocative pieces from the great slavic traditions of Bulgaria, Macedonia and Russia. The girls are based in London now, but that doesn’t detract from the sonic pictures they create of the great plains, vast forests and mountain ranges of Eastern Europe. And of course, south of Macedonia and Bulgaria lie Greece and Turkey and it’s from here and Asia Minor in general that the next band draw their inspiration. Nisos are a relatively new band formed originally by clarinettist and composer Nikos Koulouris and percussionist and kaval player Tomas Rossi. The name Nisos means 'island' in Greek and refers to the physical and cultural isolation of where the band currently resides in the Czech Republic, far away from their homelands. 7	“Piji” by Nisos from the album "Nisos"
A final geographical link now in my Eurasian chain: the engine’s steaming, the luggage is firmly strapped onto the racks and the guard’s got his whistle to his lips! All aboard! This is the Night Train to Istambul!! Well, I enjoyed the ride anyway! 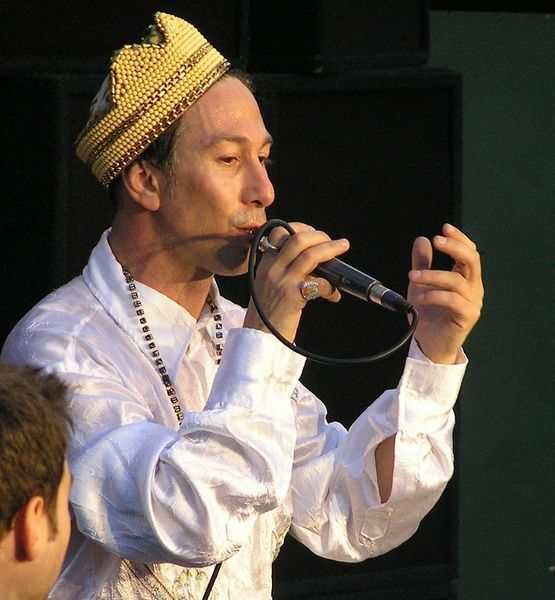 That was a 21st Century version of the 1930s classic “Istanbul (Not Constantinople)”, here performed by Ska Cubano but given a remake-over by veteran British remixer Max Pashm, who I’m also looking forward to seeing at the Home Festival in Devon in a couple of weeks. Don’t forget you’re tuned into Rhubarb Radio transmitting from theCustard Factory in Birmingham, England. My name’s Glyn Phillips and you’re listening to WorldBeatUK a weekly journey around the globe in search of the best in world music and the sorts of sounds you wouldn’t normally come across on the radio. Don’t forget to join me every Wednesday 7-9pm as I take you around the world in weighty grooves. Now, over the last couple of weeks I’ve mentioned the Celebrating Sanctuary Festival to be held in London on 19th June on the South Bank as part of Refugee Week, and I’ve ben playing music from some of the musicians taking part in that. Well, to round off my focus on that I’ve got a couple of tracks lined up. First off is one of the new voices of the UK Roma scene, Kerieva who I understand is of mixed Irish Romany and Manouche gypsy descent. You can find out more about her and the issues she’s passionate about as well as her music at these two sites: www.kerieva.blogspot.com and www.soundcloud.com/kerieva. And that last track was also by a group playing at the Celebrating Sanctuary Festival in London this weekend, the Krar Collective, originally from Ethiopia and now based in London. 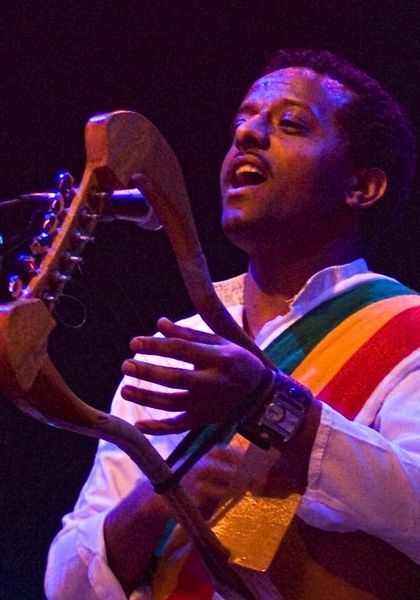 The krar refers to the Ethiopian harp played there by Temesgen Taraken and with the traditional kebero drums played by Amare Mulugeta and vocals by Genet Asefa. That track was called “Gurugenya”. 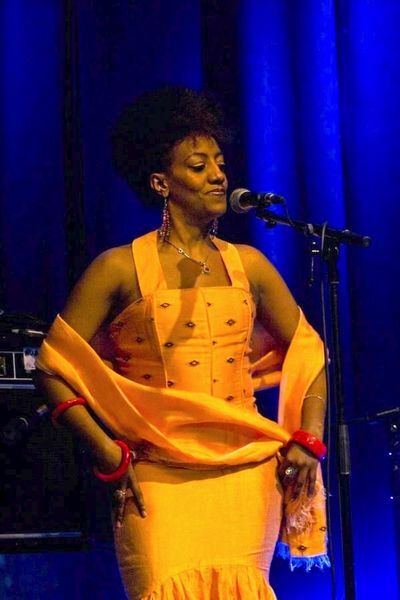 And from that funky and electrified, but still quite traditional Ethiopian performance to some right on the money Ethiopian jazz with a dub sensibility. This is the excellent young Ethiopian pianist Samuel Yirga, who’s part of the brilliant Dub Colossus who I’m very excited about indeed (and have been booked for this year’s Womad at Charlton Park). Samuel’s due to release an album in his own name later on in the year called the Habasha Sessions, so here’s a little taster of how it might sound. This track is called “Habasha Diaspora (Addis Piano Mix)” and I’m majorly loving it! You’ve been told! And from one piece of great ethiopian jazziness to a slice of Guyanese jazz pan heaven. That last track was by a steelpan jazzman by the name of Colgrain Whyte who hails from Guyana in South America. Now Guyana’s one of those countries that many people are not sure where exactly it is or really anything about it. You could be mistaken for thinking it’s in the Caribbean, but it’s actually far away on the Northeastern coast of South America facing the North Atlantic and sandwiched between Venezuela, Brazil and the former Dutch colony of Suriname. But it seems to look towards the English-speaking Caribbean islands rather than it’s Spanish, Portuguese and Dutch-speaking neighbours for cultural influence. And so soca and reggae are very much in evidence in this large English-speaking outpost as well as indo-guyanese chutney music. The next track is by Eze Rockliffe also from Guyana and it’s a lovely piece of laid-back reggae from a singer who’s been gently rocking it since the 1970s at least. This track is called “Suki Bajendo”. 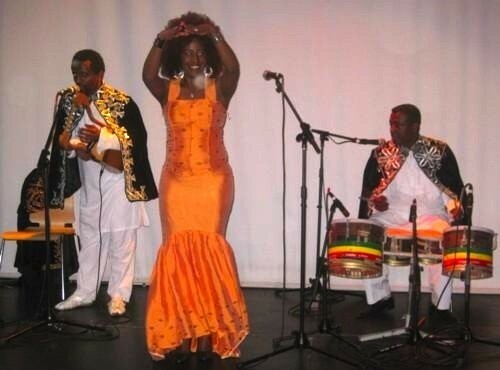 And at the other end of the age range to Eze Rockcliffe, in the last of my trio of Guyanese musical treats, that was the lovely young singer, Tennicia and a reggae number called “No Love”. All three of these artists, jazzpan player, Colgrain Whyte, and singers Eze Rockliffe and Tennicia are on Guyana’s own Krosscolor label and agency and you can find out a bit more about them and other artists at www.krosscolor.com. Ok, ready for some soukous? But this time from Sierra Leone’s Refugee All Stars. 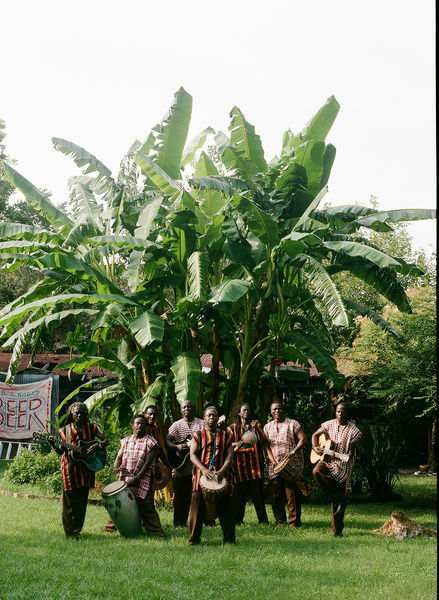 They’re in the UK at the moment and you can catch them on Sunday 19th June at the Africa Oye Festival in Liverpool and also performing in Hull as part of the Refugee Week celebrations there on Wednesday the 22nd June - that’s if you’re not listening to me on my next show! This is from their last album “Rise and Shine” on the Cumbancha label and a track called “Tamagbondirsu” - get yer dancing shoes on kids! It’s time to soukous!! That was a track called “Djamaa” by the Belgian-based afro-fusion band Brassafrik from their eponymous album on the A-Shams label. With a four-piece African percussion core led by the tama and djembe player Babs Jobo and trombonist Stefaan Blancke heading the 6 piece brass section they create explosive skin and horn dance music. Returning to Sierra Leone for a moment here’s another African refugee making music in a foreign land. This time it’s Saa Andrew Gbongbor a young singer who fled Sierra Leone, spent time in a refugee camp in Gambia and eventually being rehoused in a small Canadian town in New Brunswick. Saa like so many people around the world has been very influenced by the music of Jamaica and prefers to play a form of dancehall reggae. This is his tune “Butunneh Banda” from the album of the same name. OK we’re heading into the last furlong of the show, so let’s get the party started! A couple of tracks by a remixer whose work I’m really loving at the moment. This is Rude Hi Fi of Barriobeat fame and a catchy little bit of latinobalkandubrap-ting-and-ting called “Niente Minkia Cacata!” - just grab yourself a dance partner, hold ‘em close, very close and start rocking it, y’hear! (11) 20	“Santo Precario” (Balkan Cumbia remix) by Barriokatz/Fat Kat Disco (Barriobeat). Yeah, yeah, wasn’t that a groove?! Barriobeat’s Balkan Cumbia remix of “Santo Precario”. Don’t forget you can hear Brummie Ska band the Heels this Sunday 19th June at the Leamington Peace Festival which is a free one-day festival 11am-6pm at the Pump Rooms in Leamington Spa near Warwick. This is the last one - those Italian electro-retro cool-cats Mixer Pirillo and the Sweet Life Society want you to swing it babies! This is “Artichaut (Chinese Man)”. Enjoy and see y’all next week!